It’s been less than two months since Verizon Xoom owners were finally privileged to an Ice Cream Sandwich update. 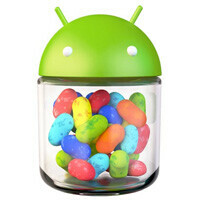 Owners of the Wi-Fi only variant of the device are now already getting ready to be treated to a taste of Jelly Bean. Google announced at its I/O event that the Motorola Xoom would be one of the first devices to see the latest iteration of Android. Today, U.S. Wi-Fi Xoom owners who are a part of the Motorola Feedback Network began to receive soak test invitations. Hi. Thanks for joining the Motorola Feedback Network. We would like to invite to you take part in a software test for owners of the U.S. Wi-Fi Xoom. If you are not using a U.S. Wi-Fi Xoom, please excuse and ignore this message. If you're interested in testing new software and providing feedback about your experience, please fill out this short registration form: We recommend you respond as quickly as possible as start times are generally fluid. Please be patient if we don't contact you right away -- and be prepared for a launch at any time. When we're ready to begin we will send an email with more information, if you register successfully. It’s not clear at this time how long it will be until the update is finalized and ready for all Xoom owners, but the good news is, it seems Google is being very proactive about getting Jelly Bean deployed out to older devices. Gotta love having a Xoom. I love having it. I might just stick to experience devices in the future as they are some of the best around. I want to buy the Pad Infinity, but the Xoom keeps getting updated so it seems kind of silly to buy a new tablet when my over a year old one is getting updates quicker. The Xoom gets priority with vanilla Android. Hopefully my GS3 gets updated to JB soon. Samsung said Q4 for their Flagship. They have been pretty truthful with their ICS updates, so I would imagine this will happen before 2012 is over.